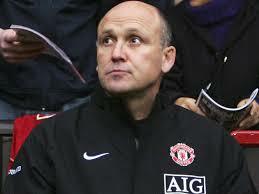 Mike Phelan is the bookmakers’ current favourite for the vacant manager’s job at Wigan Athletic. The bookmakers consider Ian Holloway to be in close contention, followed by Paul Jewell and Karl Robinson. Both Phelan and Robinson appeared in the odds with an outside chance of the same job in July. Phelan is clearly a strong candidate. He had a hugely impressive record as assistant manager at Manchester United from 2008-13, when they won 3 Premier League titles, 2 League Cups, a World Club Cup and they reached two Champions League finals. The 51 year old Phelan is a Lancastrian, being born in Nelson, starting his playing career at Burnley, before moving on to Norwich, Manchester United and West Bromwich. He played once for England. The question is whether Phelan can be successful as a manager in his own right. However, similar questions were asked about Steve Clarke, who was one of the most highly rated right hand men in English football before successfully taking the reins at West Bromwich. Were Phelan to be appointed it would be interesting to see who he would bring as his assistant manager, but it would be a surprise if it were not someone with an Old Trafford connection. The 50 year old Bristolian Ian Holloway is well known, not only for his wacky quotes, but also for taking two clubs through the Championship playoffs into the Premier League. He took Blackpool up in 2009-10, and although they could not stay up he made lots of admirers through his positive footballing approach. He actually took the Tangerines back into the Championship playoffs in 2011-12 where they were beaten by West Ham. Last season Holloway’s Crystal Palace were to defeat Brighton and Watford in the playoffs to reach the Premier League. However, he left by mutual consent on October 23rd. Like any experienced football manager in England Holloway has had his ups and downs. He started his managerial career in 1996 as player manager of Bristol Rovers. He suffered relegation with Queens Park Rangers in 2000-01 and Leicester City in 2007-08. In between he was manager at Plymouth, whom he left under acrimonious circumstances for Leicester. There have been rumours that Paul Jewell – now 49 years old – might return to Wigan on a short term contract. Dave Whelan brought back Steve Bruce for a successful second spell at Wigan in November 2007, so there is precedent to suggest that a return for the ex-Latics icon is a possibility. Karl Robinson is the 33 year old MK Dons manager. He played non-league football and was a bustling centre forward. However, at the age of 29 he was the youngest ever to get the UEFA Pro coaching licence. His Dons teams are known for their good football. In the meantime Dave Whelan has been less than generous in his comments about the departing Owen Coyle. Moreover the Daily Mirror alleges that Graham Barrow was told he would be taking temporary charge before Whelan and Coyle met for their fateful meeting in which the Scot offered to resign. It is to be hoped that the new manager will receive the kind of support from the Chairman that Roberto Martinez received. Owen Coyle certainly did not receive that level of support. He took over a playing staff that was decimated at the end of the Martinez era, having to keep transfer fees to a minimum. Moreover he was given a one year contract. This is not to suggest that Coyle was the right man for Latics, but the dice were loaded against him from the start. Being an ex-manager of local rivals Bolton Wanderers was certainly not in his favour. The new manager needs to be given adequate time and resources to be able to prove himself. A couple of good signings in the January transfer window might suffice in bolstering up the current squad into making a genuine challenge for promotion. That will depend on Whelan trusting the manager’s ability to make good decisions where largish transfer fees are involved. Dave Whelan is like any other club owner in that sometimes he gets things right in his appointments, but other times he gets them plain wrong. Paul Jewell, Steve Bruce and Roberto Martinez all did a fantastic job for Latics. Chris Hutchings and Owen Coyle were less successful. Let’s hope Whelan gets it right this time around.